Unfortunately, still rebuilding the crashed Dell Optiplex GX 270. It had MS Windows 2003 on it and so went in and installed that OS on it. But, it is so obvious that I have the generic video\display driver on it. Chose to enter the Tag. 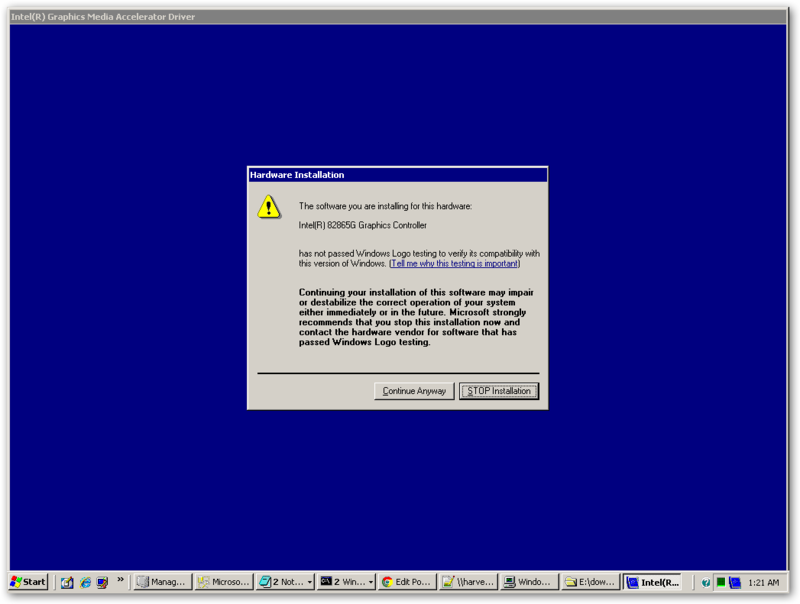 From the screen above, it is obvious that Dell does not support the installation of the MS Windows 2003 on this model. 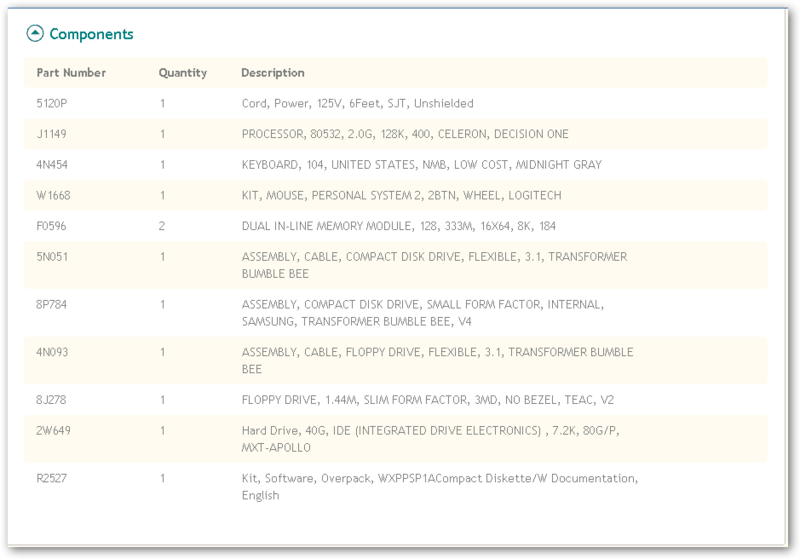 But, unfortunately the Components listed were all generic, nothing exact. During installation received message stating driver has not passed Window Logo testing warning.. Asked whether to restart now or later. Upon restart, the display looks much more better. Accessed Control Panel \ Display and validated our driver’s version; it is 6.14.10.4544. BTW, the release date of the Driver is dated 3/23/2006. 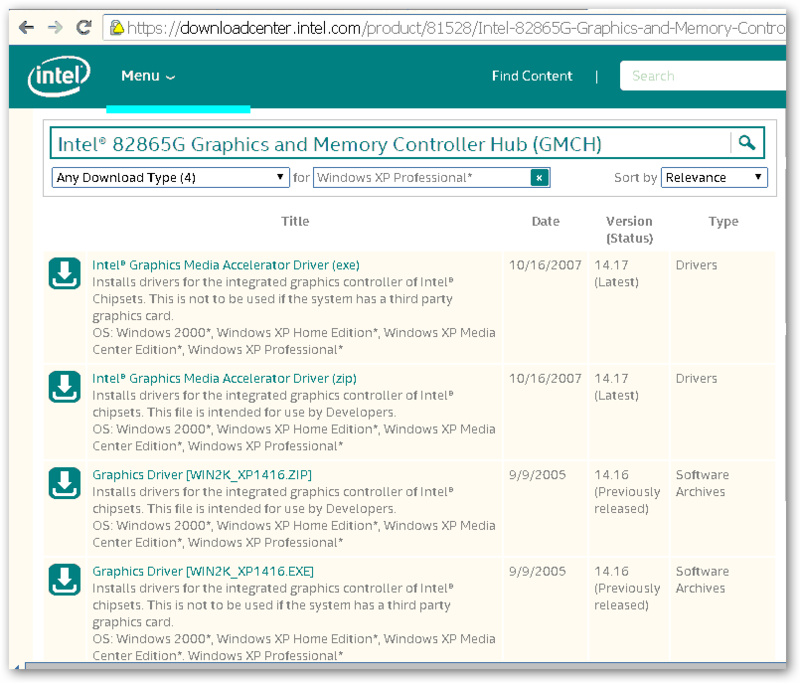 The drivers are also available from Intel. To get them you need to know the model number for the Driver Card and the target OS. 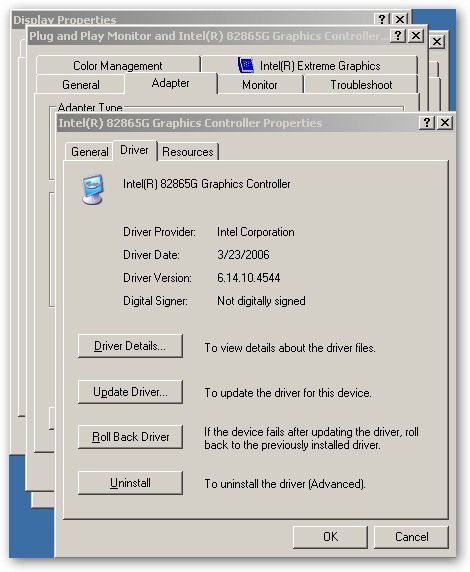 In our case the model number identified by MS Windows through the Device Manager is Intel 82865G. 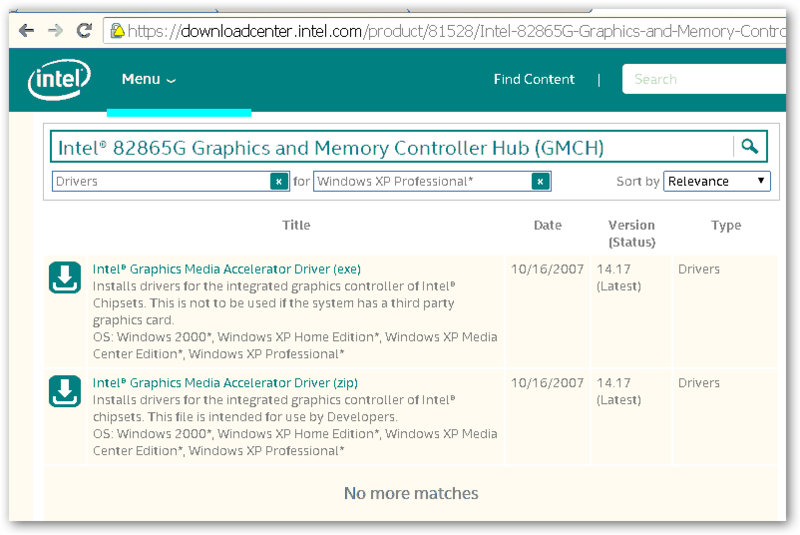 Unfortunately, we do not have an MS Windows 2003 specific driver and so will revert to the closest match. MS Windows 2003 was released in 2003 and the complementary desktop is MS Windows XP. Here is the OS Specific view from Intel’s web site. If you click on the Download type drop-down, you can filter the list more, by asking for Drivers and excluding “Software Archives”. Our choice is a bit clearer, we can either get the executable or the archive (zip) file. 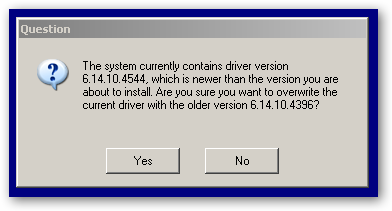 Btw, the latest version ( v14.17 ) was released in 10/16/2007. The one prior ( v14.16) to that was released on 9/9/2005. Upon trying to install the version available on Intel’s web site, got a Question stating that the version currently installed is 6.14.10.4544 and it is a bit newer than the one we are trying to install 6.14.10.4396.